WASTED! The Story of Food Waste aims to change the way people buy, cook, recycle and eat food. Through the eyes of celebrity chefs like Anthony Bourdain, Dan Barber, Mario Batali, Massimo Bottura and Danny Bowien, audiences will see how the world's most influential chefs make the most of every kind of food, transforming what most people consider scraps into incredible dishes that create a more secure food system. WASTED! 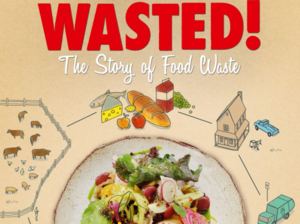 exposes food waste and its contribution to climate change, and shows us how each of us can make small changes - all of them delicious - to solve one of the greatest problems of the 21st Century. After the screening there will be a discussion with Scott van Wagenen, an American chef living in Prague. Organized in cooperation with Zachraň jídlo NGO.